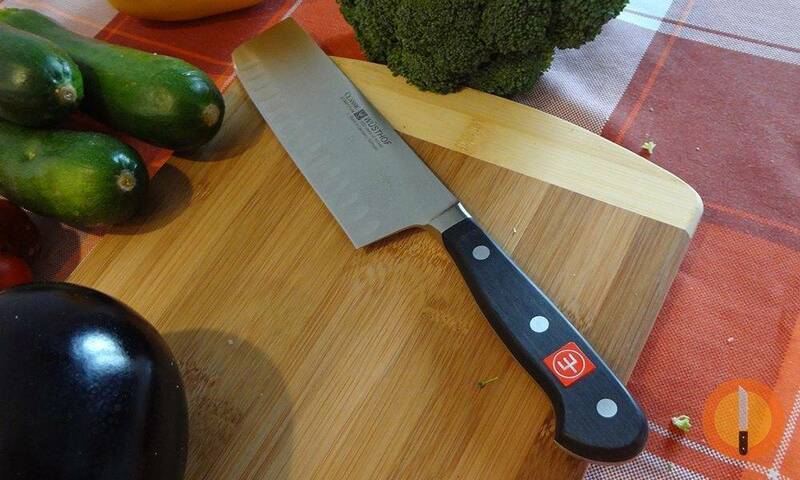 You’re serious about cooking, and you’re looking for information about the best kitchen knives. But there’s so much information available on the web that you’re confused. Rightly so! Some sites assume you already know a great deal. Others give partial or limited information, presenting the author’s preferences as facts. Sometimes the author is shilling for a particular brand. In this article, I want to walk through what you need to know, so you can make informed choices. You’ll learn which kitchen knives are likely best for you, and how to make up a complete set that serves your needs. What this article won’t give is a lot of brands. That information is available in other places, including here on KnifePlanet. And while I’ve used some knives in my time, ranging from garbage to glorious, I can’t claim to have experience of a truly wide range. It’s important that you understand knife sets. I don’t mean those big-block sets in department stores. If you’re reading this article, chances are such a set will be a poor choice for you. A proper set of knives is a constellation of functions with few repeats. Everything is oriented to your preferences in the kitchen. The centerpiece of the set is what I call the anchor knife. 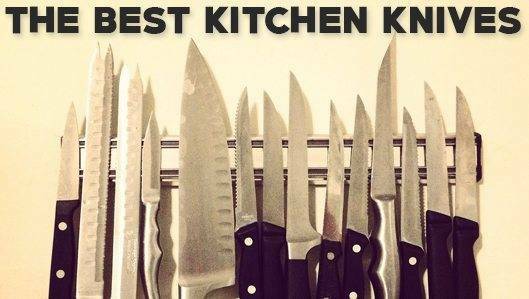 Your Main Kitchen Knife: Which One, Really? The anchor knife will do roughly 75% of the work. When in doubt, it’s the one you’ll reach for. With few exceptions, it will be the most expensive, and the one to which you should devote the greatest effort—choosing, learning, sharpening. It is simply the most important knife you own. Second, know why you’d choose one instead of another. There are 5 contenders for your anchor knife: the chef’s knife, the Chinese cleaver, the usuba, the santoku, and the nakiri. I list these in order of how likely I think it is that you might choose one: odds are, a chef’s knife is the best choice, and I would never recommend a nakiri. The chef’s knife is the most common in the West. It is long and pointed, with a gently curved belly. If you’re looking at most cutting videos or cookbooks that include “how to cut things” information, chances are you’re looking at a chef’s knife doing most of the work. Japanese-made chef’s knives, generally called Gyuto, usually have the flatter French profile rather than the deeper-bellied German one. Does just about everything well. Easy to learn. Many different knives available, at a wide range of prices. 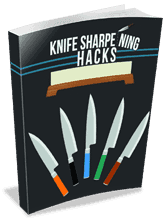 If you don’t do your own sharpening, any place is going to know roughly how to treat it. Machine sharpeners work okay. Too many choices (thus a lot of misinformation). Slightly tricky to hand-sharpen. Usually needs regular honing (steeling). Cost and value do not align: you can spend a lot for a little if you’re ill-advised. If you cook a lot of food served in small pieces, the Chinese cleaver is your best friend. This makes it an admirable knife for vegetarians, as well as those who cook mostly Chinese, Southeast- and South-Asian foods. Martin Yan has been teaching this knife wonderfully for years. very low cost. Easy to learn. Easy for your hardware store to sharpen. Machine sharpeners work okay. Fairly versatile. Brilliant at chopping and dicing. Tricky to sharpen by hand. Poor at slicing. Regular honing (steeling) is wise. Which One? The go-to knife of American professionals is the stainless Dexter Russell 8” model 08040. For other options, see our Chinese cleaver buying guide. 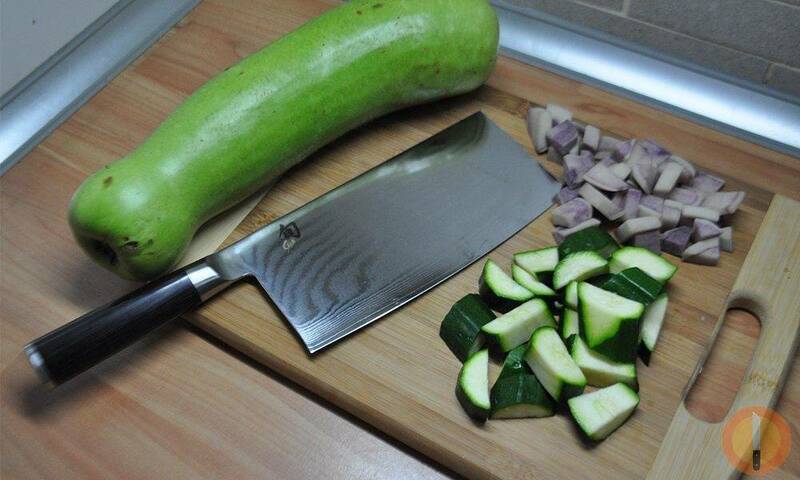 This Japanese professional’s knife is the best vegetable knife in the world, bar none. It has a steep learning curve, and there aren’t many great videos around to help, but once you have passable mastery an usuba is extraordinary. Ludicrously good with vegetables. Easy to sharpen acceptably. Very expensive. Hard to learn. Must be hand-sharpened: your hardware store or almost any machine will do damage. Easy to damage. Poor at slicing. Useless for anything but vegetables. Must be “opened” (sharpened for the first time) by an expert. Which One? Carbon steel, single-beveled, 210+mm, with a die-straight edge. It will cost at least $200; if it’s less, it’s almost certainly not worth it. You can’t go wrong with a major Japanese brand such as Masamoto, Aritsugu (Tokyo or Kyoto), Sakai Takayuki, etc. Warning: some major brands (e.g., Shun) sell knives called “usuba” which aren’t. Look at the edge: is it gently curved? Not an usuba. This Japanese knife was invented about a century ago as a half-breed for the on-the-go urban housewife. It is a bit less good at everything than every other anchor knife. It has been touted in the West as a cool, hip knife, and as such is expensive for what it is. It sports a very short blade, which can be handy if you have a truly small amount of counter space (say, 8”). Good for small spaces. Good for those terrified of large knives. Some say it’s good for women’s hands, but I say this is chauvinism. Versatile. Easy for the hardware store or a machine to sharpen. Not as good as a French chef’s knife at anything. Expensive for what it is. Brilliant at nothing. Regular honing (steeling) is wise. Which One? We’ve written a guide on the site, See The Best Santoku Knives. The nakiri is the old-fashioned Japanese home vegetable knife. It’s better than a santoku for vegetables, but not as good as the French chef’s knife or Chinese cleaver, to say nothing of the usuba’s brilliance. It is worse than every knife listed here for anything else. In rural Japan, you can pick up a decent one for a few dollars. Pretty easy to hand-sharpen if you understand its weird rules. Which One? Whichever is cheapest, or see the Best Nakiri Knife on KnifePlanet. The real question is whether there is any good reason for you—you, personally, with your preferences—to choose anything other than a French chef’s knife. Are you a vegetarian or pescatarian? Do you cut most food in small pieces, as for stir-fries or curries? Do you have an abnormally restricted workspace? Unless you answered “yes” to at least one of these, you should probably go with a chef’s knife as your anchor, but let’s go through. 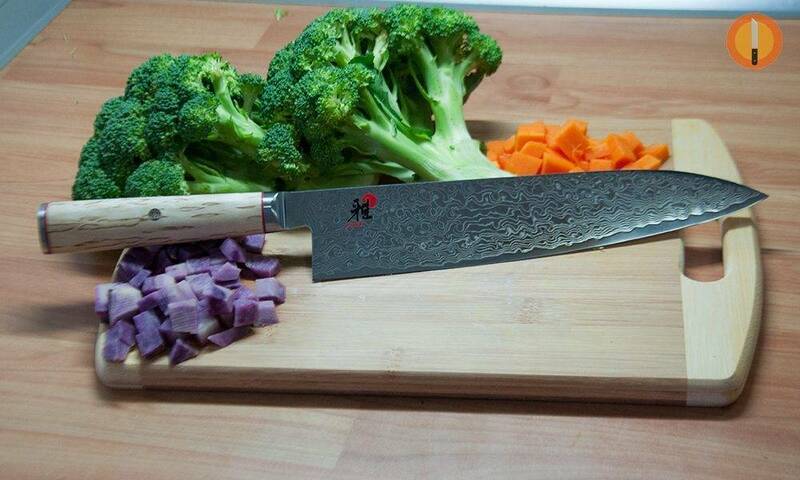 If you are a vegetarian or pescatarian, the Chinese cleaver and usuba become possibilities. Both are weak when it comes to a lot of the work that goes into handling meat. As for fish, none of these knives is great, so you’re going to rely on something else anyway. Where the cleaver shines is chopping. If you’re cutting most food into bite-sized pieces, the cleaver is your friend, and conversely, its weaknesses (slicing, for example) won’t matter. Once you get the hang of it, you can chop a bunch of stuff and use the large flat of the knife as a scoop. I used one for years as my anchor and loved it—but I’d never go back now. If your workspace is extremely small, a large knife such as a chef’s knife may be a problem. In that case, a cleaver, usuba, or santoku could be a good option. If you’re considering an usuba, recognize that it will cost a lot, and you’re going to need good sharpening stones. You’ve got several months of pain and suffering ahead of you: this knife can only be used in its own strange way, and any deviation will cause chipping at best, plus nasty wounds. You’re going to reshape that blade several times on coarse stones, because you’re going to chip it badly. In the end, if you fall in love, you’re going to buy a new one to replace the one you learned on. So if you’re not already serious about sharpening, an usuba choice is going to set you back something on the order of $1000, between two knives and an assortment of excellent bench stones. I am the only Westerner I know who made this switch and was happy about it, and even now many quite basic cuts are frustratingly difficult. Now that you’ve picked your anchor knife, it’s time to fill in the gaps. No knife does everything, so what do you need? In most home kitchens, many of these things don’t come up often. The problem is that there is a lot of variability. I know lots of people who have never taken a whole fish and broken it down into steaks or fillets. Vegetarians obviously don’t need meat knives. Getting whole bone-in meat cuts (a veal shoulder, for instance) is often very expensive because you end up paying as much for the bones as for the meat itself, so lots of meat-eaters never need meat butchering knives. On the other hand, not every function needs its own knife. For instance, a Chinese cleaver or a chef’s knife is fine for vegetable cutting and mincing, and a chef’s knife will do meat slicing too. A deba-hocho, the Japanese fish-butchering knife, does well for not only that task but also dicing and mincing, which an usuba does not do. So it all depends how the bits and pieces come together. What everyone needs is vegetable cutting, chopping, and mincing. At some point, everyone is going to need a detail knife. Beyond that, it depends what and how you eat. Let’s suppose you like to cook and eat on the modern French-based Euro-American-sophisticate model: Jacques Pépin, Lidia Bastianich, Ming Tsai, Martha Stewart, etc. Your anchor knife is almost certainly the French chef’s knife: it does all these functions passably in a pinch, so when you’re under pressure or just need to do something once, you can lean on Old Reliable. You’ll use your chef’s knife for onions, carrots, and celery; mincing garlic and dicing herbs; portioning meat and fish. The paring or petty knife is for fine meat trimming, shaping mushrooms, coring and peeling apples, etc. At serving time, the slicer will make nice slices and your bread knife will handle the bread. Once in a while, to split a lobster or remove a chine bone, you’ll haul out the brutality knife. Victorinox Forschner Rosewood 10″ Cimeter Knife. What’s different? First, the slicer is going to be used a lot more if you eat meat, because the cleaver isn’t good at it. So instead of a ham slicer or the like, you’ll want a sturdier blade, like a French cimeter. A Japanese kiritsuke is good too, but it’s expensive and tricky to maintain. Second, you won’t need a brutality knife unless your cleaver is delicate or you’re chopping something very large, because a good cleaver already is a brutality knife. Masamoto Yanagiba, Usuba and Deba knives. This is much more complicated. An usuba doesn’t do anything but vegetables, and what’s more, it doesn’t do fine mincing. This is the traditional professional’s set, with the addition of a serrated bread knife. You do need that: these edges simply will not tolerate what a good crust will do. You don’t need a detail knife, because an usuba is a detail knife, and you can use the point of the small deba here and there, but you’ll probably want a petty knife anyway for some things. Regardless, you likely don’t need all this. The two deba-hōchō are for fish butchering, and the heel of the big one is for fine mincing. If you don’t do fish butchering, or go with the French system on that, you just need something to do the mincing (plus the French flexible-blade fish knife). Eventually you’ll find the petty annoying for mincing, of course…. And so it goes. Your main choice is which system you’re going to use: French or Japanese. There are other systems, but they’re very specialized things. If you already know one system, don’t switch. If you don’t know any system, look at it like this: French is cheaper and easier, but produces less perfect results; this isn’t surprising, since until recently the French chef had no use for glass-smooth fish surfaces. Either knife can remove the skin. The first of these will be your chef’s knife, so all you need is a flexible filleting knife. A good one shouldn’t cost more than $50. The first is a deba-hocho, the latter a yanagiba-bocho or takobiki-bocho, depending on regional preference. If you are using the full Japanese system, the big deba ought to be 210-225mm so you can use the back third, ground backwards to a small double bevel, for mincing; you will also want a small deba (150mm or so) to handle small fish. If you are using a chef’s knife as your anchor and this deba is only for fish butchering, a 180mm knife is great. A good-quality deba shouldn’t be much over $150. The long slicer, well, that’s another thing entirely. It needs to be 270mm at least. Expect to spend a good $300 for a great knife. You can get away with a shorter knife if you slice fish once in a blue moon, and then you can probably do it for $150 or so. Either way, you’ve got to sharpen these knives yourself. We’re getting into “inside baseball” stuff. Unless you’re slaughtering animals, chances are you’re not going to deal with primals, i.e. large cuts of meat with all the bones inside, unless you pay top dollar. By “top dollar” here I mean that you’ll pay a lot more for the uncut version than for the cut. Example: a completely untrimmed rack of lamb weighs about 7 pounds; trimmed and Frenched, it’s about 1.5 pounds. If you buy it untrimmed for $7/pound and trimmed for $16/pound, you’ll pay $50 for untrimmed and $24 for trimmed—and what will be removed in the trimming is fat and fell, useless except as bird-food. Besides, it’ll take time and work to trim it yourself. Are you sure you need these knives? If you do, get a set of inexpensive knives: skinning, breaking, jointing, etc. The total will come to around $150. I suggest something like Victorinox Fibrox: it’s cheap, durable, and will last a long time even if you’re going into butchering very seriously. *Add a serrated bread knife to every set. *Add a basic butchering set if needed. You already own many of the support knives. Bread knives are much of a muchness. If you have a massive old chef’s knife that weighs a ton, sharpen it with fat bevels and it’s a brutality knife. Those odd knives from the back of the drawer make fine butchering knives. And if you don’t have any paring knives, I’m astonished. Focus everything on that anchor knife. 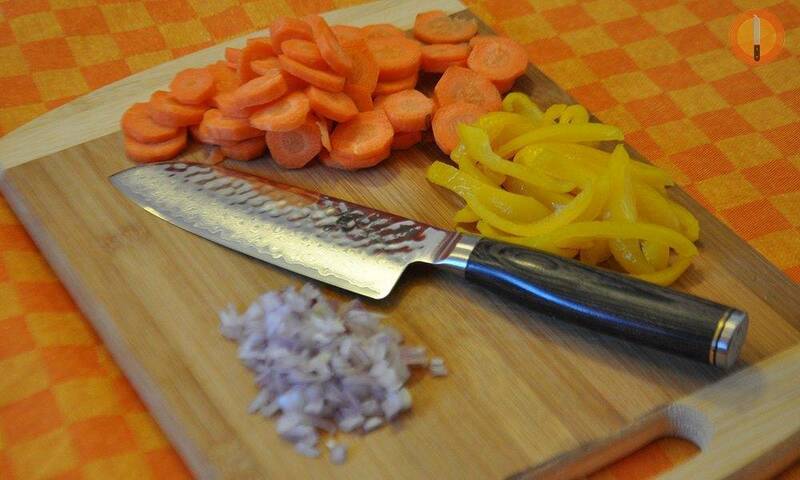 Now that you know what you want, research which kitchen knife is best for you. Start saving your pennies, and get something that will last a lifetime. No, it doesn’t make sense, but I love it. Thanks. Hope it helps, Monika! I gathered my regular knives in a haphazard way but they work for me. I had a Henckels Santoku and liked the style but found it hard to keep sharp. I was always intrigued by Damascus so I bought a Kikuichi Santoku. It’s not their top of the line but it does about 80% of what I need it to do easily and is a real pleasure. I keep it sharp thanks to your website’s guidance. I can cut thin tomato slices, applying only the weight of the blade as I draw the knife through. I later bought Zhen Damascus blanks for a smaller Santoku and Paring. With these three I can do about 95% of my kitchen chores. I have a cheap orange bread knife, a Rapala fillet which I use mostly for boning, and an old, cheap cleaver which handle the rest. You mention steeling a Santoku. Do you mean the regular old steel or something different. I do sometimes use one of them when I need a quick touchup but don’t have time to use my water stone. Thanks. BTW- I HATE those metal knife bars shown holding the knives at the beginning of your article! I had one for a while and found that the magnets were so strong that they grabbed the knife as soon as it got within an inch or so of the bar and slammed it down onto the metal. I dinged a few edges pretty badly before I trashed the thing. Paul, I hate those things too. Terrifying! I didn’t produce that picture, though. My knives sit on a wooden rack that I built. Maybe some time I’ll post a column about how to build one of these, come to think of it! As a professional knife sharpener I would like to know what you mean when you say “sterling.” I tell people it means straightening the bur. Early steels had no burs. I’m afraid many steel out of habit. Rod — I mean running the knife on a hone, to straighten the bur. I am not a fan of the practice, but I think it works fine for relatively soft Western knives with a reasonably symmetrical grind. Does that seem incorrect to you? Nice unique approach to the usual “what kitchen knife should I get” question. Thanks! Thanks for writing this. Very helpful. You’re very welcome, Mitt! Glad it was useful.